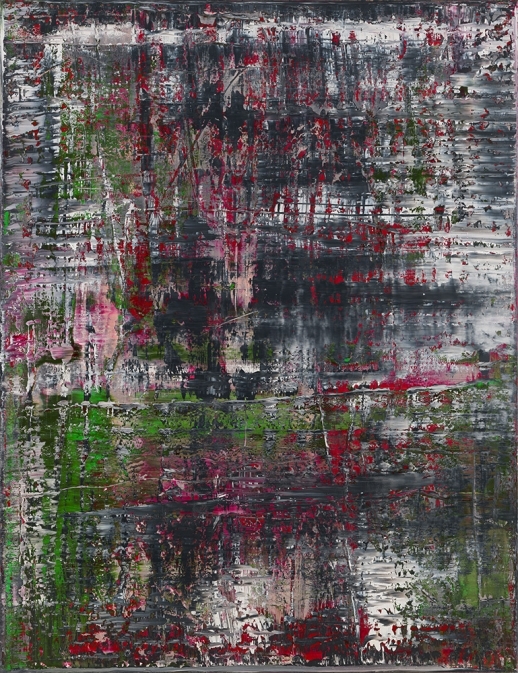 If you don’t know who Gerhard Richter is, you’re probably not alone. He is considered to be one of the greatest artists of out time, having had extensive exhibitions at both the Tate and the Pompidou yet he has been glaringly absent from any collections in Australia. This exhibition at QAGOMA is a first for Australia, and a real coup. Richters oeuvre is prolific and stylistically varied: “I like everything that has no style: dictionaries, photographs, nature, myself and my paintings,” he says. His artwork references other historical images and he often makes use of photographs, distorting them to create something entirely new. 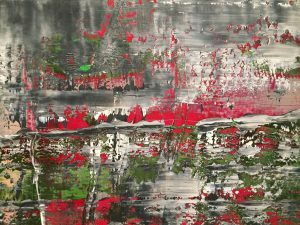 Birkenau (2014) consists of 4 large panels which seem to be completely abstract – black, white, green and red paint over a grey background. But in fact these are based on photographs taken in secret by a Jewish prisoner in the Auschwitz-Birkenau concentration camp in August 1944. 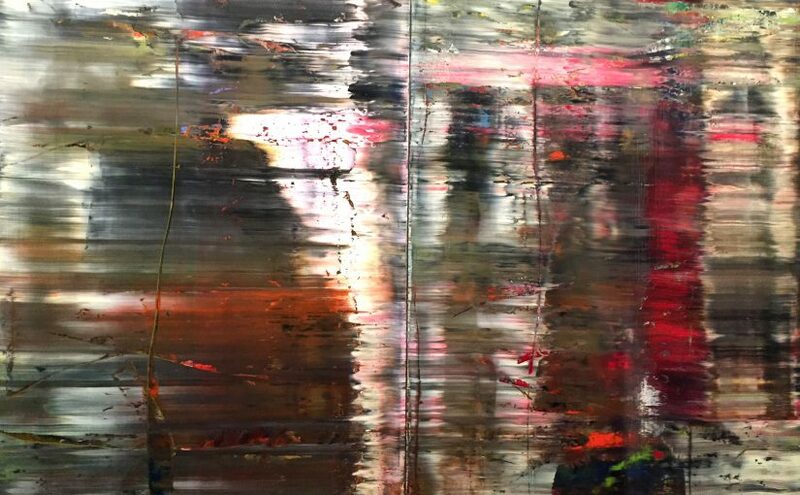 Richter took copies of the photos, blew them up and painted over them again and again until they appeared to be monumental abstracts. 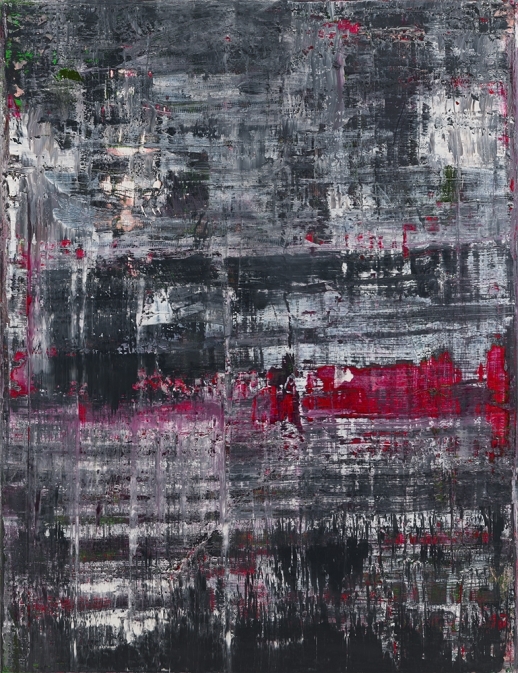 Elsewhere, Richter creates works of art using the twin mediums of photograph and paint to present the viewer with a conundrum: deliberate defacing of photographs or a merging of visual forms to create a new way image? 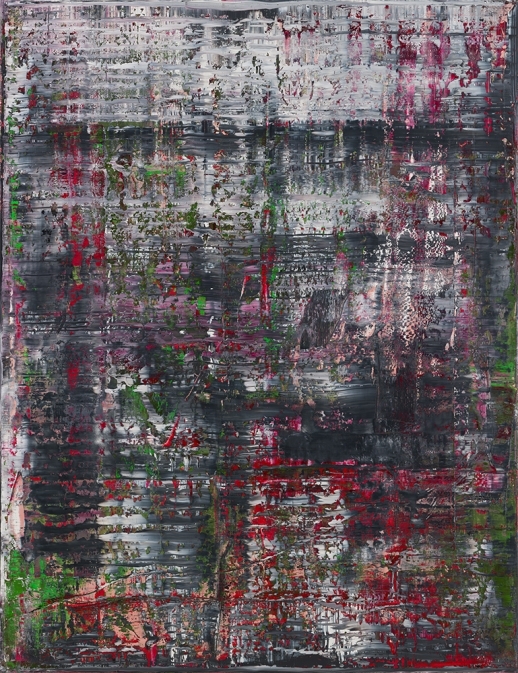 In the “Overpainted Photographs”, Richter smears oil paint over commercially printed post-card sized photographs. The paint is then pressed or scraped or lifted to give various effects. The photographs are just legible beyond the paint. You can just make out the scene below the paint: a beach, a new mother, a familiar landmark or monument. 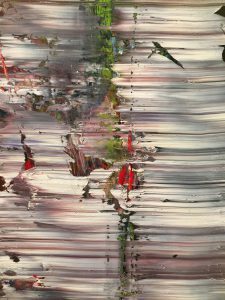 It’s an interesting artistic device: we peer to identify what’s below the paint and once having identified the image we return to regard the paint and the image as a whole. An entirely other work of art. 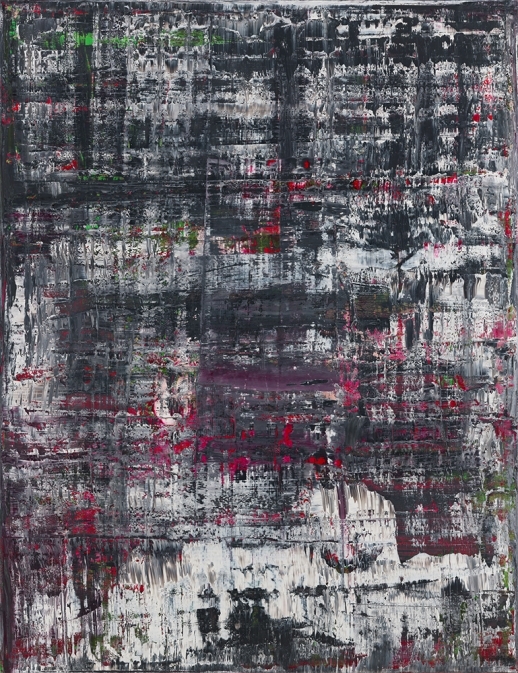 His work is both illusory and painterly. 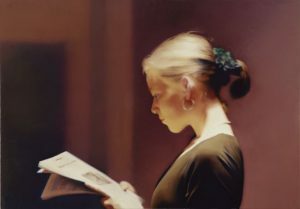 Richter is a master painter – his still-life paintings are almost photographic – photo-realist – but what I found more interesting are the photographic-like portraits that he then blurrs, sometimes only slightly, other times more severely. He uses a kitchen squeegee to move the paint over the canvas once its almost dry, thereby keeping the image intact. 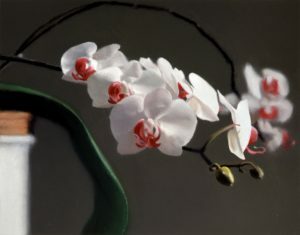 Among the artworks on show at QAGOMA are the iconic portraits Reader (804) 1994 and Ella (903-1) 2007, still-life paintings including Two candles (499-4) 1982 and Orchid (848-9) 1997, and the evocative landscapes such as Meadowland (572-4) 1985 that evokes German Romantic painting. There is also a long gallery devoted to ATLAS Overview, an extensive 400-panel extract from Richter’s encyclopaedic archival project ATLAS 1962 – an ongoing collection of photographs, sketches, collages and cuttings that he has drawn on for his paintings throughout his career. 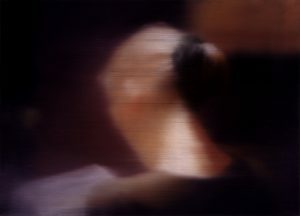 Richter personally nominated and arranged the selection of these images on display at GOMA. It is a show that needs multiple viewings. Fortunately it runs through till 4 February 2018. I highly recommend spending some hours with these incredibly fascinating works.